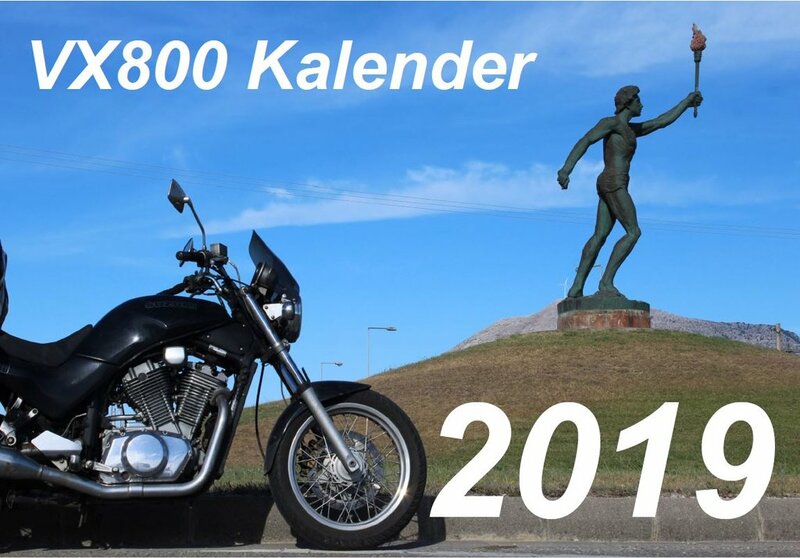 As the download link below, you can get the vx800-calendar for the year 2016 in English language. You sure know how to pack and tour a VX! I noticed half of the left-hand side pics show your bike on reserve fuel. And the shiny r/h and l/h engine side covers - did you do the polishing yourself? And the Corbin seat and wire wheels... lots of mods on your bike! Happy New Year and safe-but-exciting travels to you! What if we all make the calendar together? I mean that I have some very cool pictures of my vx what would be nice in some calendar and definetly someone else have too, something that they would want to share. Here is my picture for your VX cadendar 2017. Beacause we had few material from members , I used in most of the months my own pictures. But thanks for all for shareing your own pictures about your vx 800. If you have problems when opening the file, then feel free to let me know. Thank you for the forum-calendar, looks great.